LAVAL, QC. —The Laval Rocket are in a stretch of losing seven of their last eight games, including a pair of weekend losses at Place Bell against the Lehigh Valley Phantoms and the Utica Comets. The Rocket will face two division rivals this week. On Friday night, the will be in Belleville to face the Senators and on Saturday, they will be in Toronto to face the Marlies. Alzner in Laval – The Canadiens sent Karl Alzner to Laval on Tuesday, and he made his debut on Wednesday night. You can read my thoughts on the decision on the latest edition of Take 5 on AllHabs Hockey Magazine. Alzner was as positive as you can be in that situation. He could have been negative about the whole thing and be a bad influence in the dressing room. We have seen the complete opposite so far. All the players we spoke to in the dressing room embraced his arrival with the team. He had quite the debut as well as he scored on his first shot on goal and got an assist Friday night. Defensively, he’s been paired with Brett Lernout and Maxim Lamarche, and was also used on the first penalty kill unit. The Rocket can use a veteran like Alzner that can mentor the defensive core. 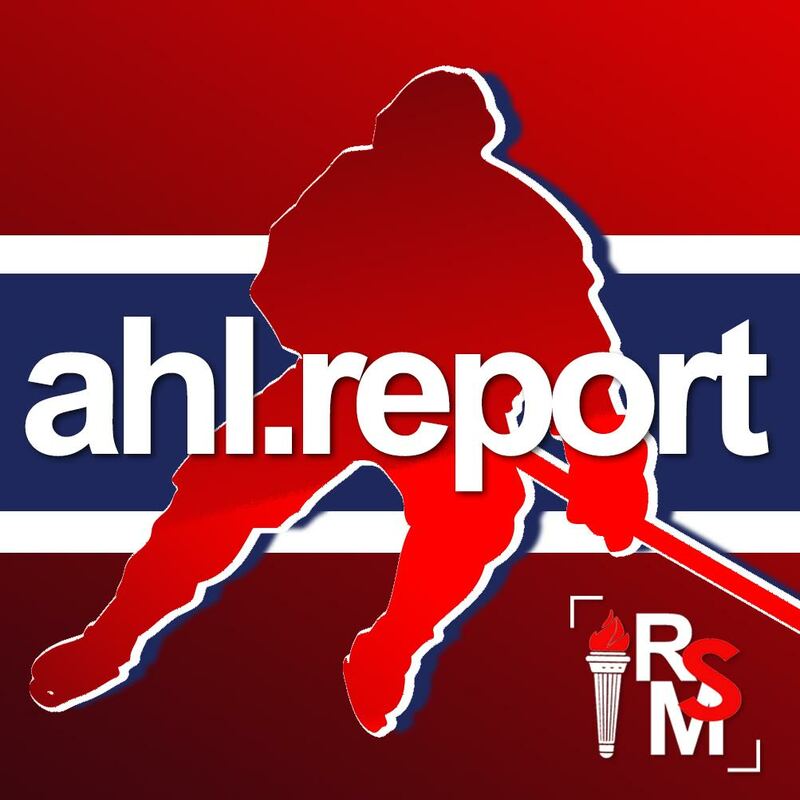 You can hear Alzner and his teammates post game comments following the Senators and the Phantoms games on the AHL Report game recaps. 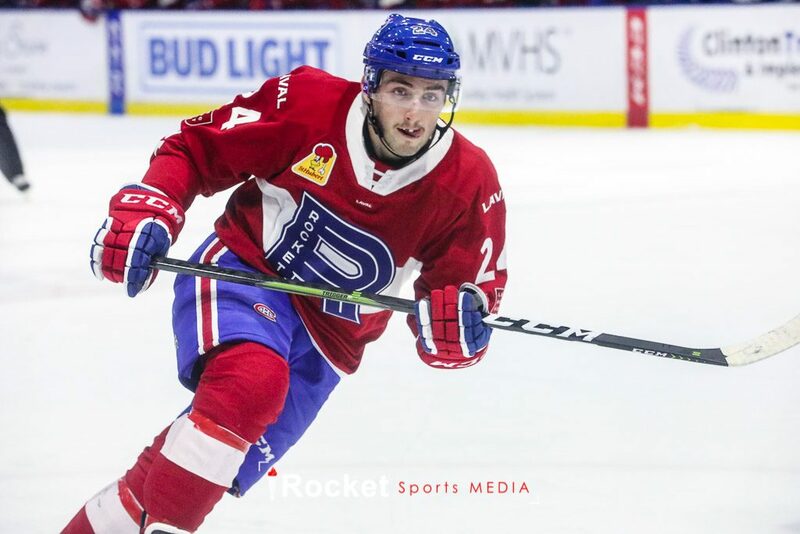 Mete with Rocket – The Canadiens sent Victor Mete to the Laval Rocket on Thursday for what was announced as part of his development. “We like his work offensively, but he still has a lot to improve defensively,” said Claude Julien following Thursday’s practice at Complexe Sportive Bell in Brossard. “I’m excited to get going and play big minutes,” said Mete when he met the media on Friday morning. Mete was paired with Lernout and Lamarche over the weekend and he was given plenty of ice time in even strength and on the power play. “It was a little bit slower I thought, a little bit more running around,” he said after his first game. Mete went on to score his first goal as a professional player the following afternoon. Considering his usage in Montreal, I think this was a good move by the team for his development. Mete had a good camp last season, but I think he was kept in Montreal because of the lack of better options. Worst power play – The Rocket’s power play is currently ranked 31st in the American Hockey League with a 12 percent success rate. On Saturday, Hunter Shinkaruk‘s power play goal was the team’s first in 27 opportunities. “I don’t need the power play to win a game. It would be nice. At one point it’s going to click. It’s not like were not doing anything about it,” said Joel Bouchard after Friday night’s game where his team went 0-for-7 with the extra attacker. Historically, a team’s special units has given a good indication of a team’s success in the standings. I also haven’t seen much changes in the way they attempt zone entry while they are on the power play. There’s a player that brings the puck to the neutral zone and then passes it back to a player that has picked up speed from his own zone, who’s supposed to enter the opponent’s zone. In the game against the Phantoms, that strategy wasn’t working, and there was no adjustment made. They kept trying the same thing over and over and finished the night with a total of four shots in their seven opportunities. The coach has been very fortunate this season to only have to adapt to the call ups of just three players: Kenny Agostino, Michael Chaput and Brett Kulak. The additions of two NHL’ers, Karl Alzner and Victor Mete, should be considered an unexpected bonus for any AHL team. They should be able to help and we’ll see if the coaching staff uses their six days off to change their strategy. Veterans contributions – “We give ourselves three weeks to really step up,” Joel Bouchard told me after Saturday’s game against the Comets. This can mean many things but if I were the coach of the Rocket, I would expect more offensive contributions from the veterans. Michael McCarron has one goal in last 16 games, Alexandre Grenier has one goal in his last 19 games, Hunter Shinkaruk scored one goal in last 17 games, and Nikita Jevpalovs has one goal in his last 11 games. If Laval wants to turn things around, these players will have to produce more. Audette contributing – After being pointless in the first nine games he played this season, Daniel Audette has two goals and six assists in his last ten games. During this sequence, Bouchard scratched him for two games. “To keep him honest in his style of play. The things that he has to improve, he knows,” said the coach after Wednesday night’s game against the Senators. Audette has mentioned that he’s working on reducing mistakes that lead to turnovers. Over the weekend, Audette was promoted to the top line with Jake Evans and Byron Froese and was used on the power play. Expect to see Audette keep an important role with the team if he keeps contributing offensively.